This is the main version of the O-Pee-Chee 2009-2010 card wrapper. The package cover pictures Wayne Gretzky from the Edmonton Oilers. 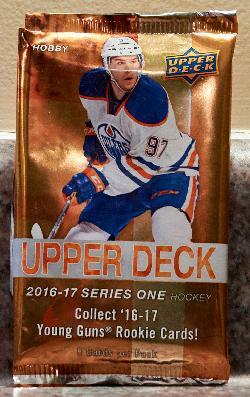 This is the Hobby version of the Upper Deck 2017-2018 Series One card wrapper. 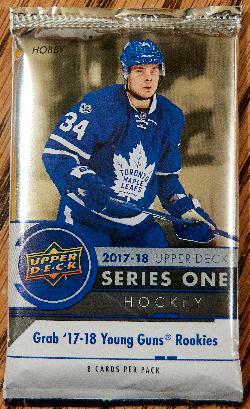 The package cover pictures Auston Matthews from the Toronto Maple Leafs. This is the main version of the Upper Deck MVP 2017-208 card wrapper. 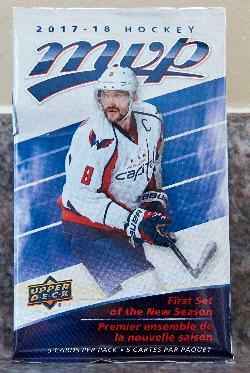 The package cover pictures Alexander Ovechkin from the Washington Capitals. This is the main version of the Upper Deck Victory 2010-2011 card wrapper. 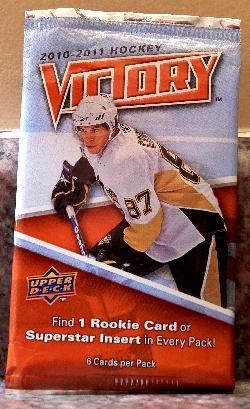 The package cover picture Sidney Crosby from the Pittsburgh Penguins. 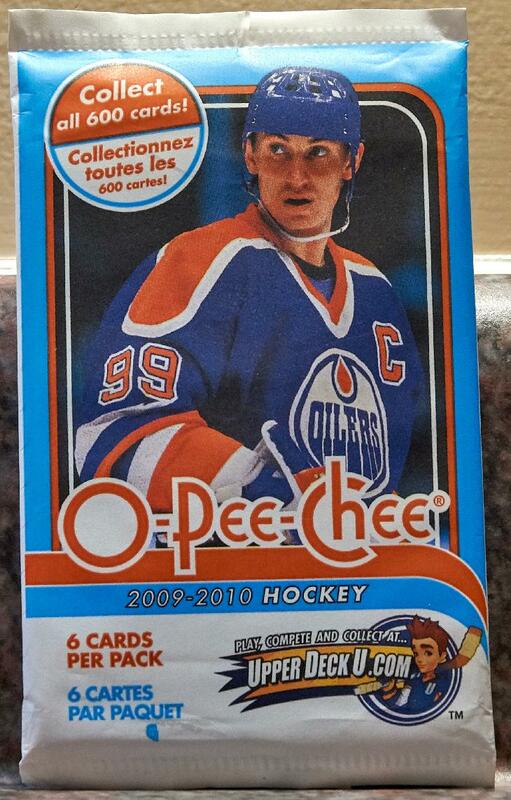 This is the main version of the O-Pee-Chee 2007-2008 card wrapper. 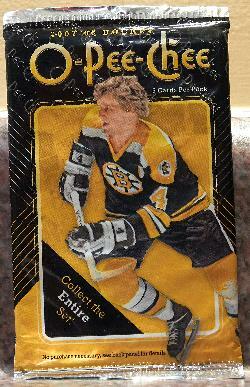 The package cover pictures Bobby Orr from the Boston Bruins. 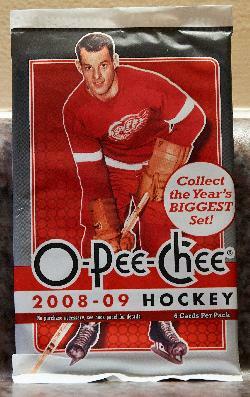 This is the main version of the O-Pee-Chee 2008-2009 card wrapper. The package cover pictures Gordie Howe from the Detroit Red Wings. This is the Hobby version of the Upper Deck 2016-2017 Series One card wrapper. The package cover pictures Conner McDavid from the Edmonton Oilers. 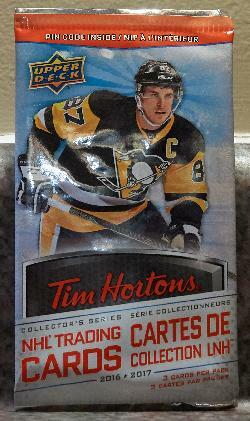 The card wrapper for Tim Hortons Collector's Series Hockey Cards. Sydney Crosby is pictured on the wrapper. The cards were manufactured by Upper Deck. Released during the fall of 2016. 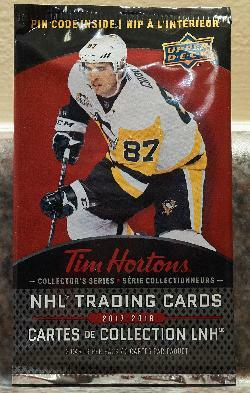 The card wrapper for Tim Hortons Collector's Series Hockey Cards. Sydney Crosby is pictured on the wrapper. The cards were manufactured by Upper Deck. Released during the fall of 2017. Official web site for the Government of Canada. Official Governtment site for the province of Ontario.